Bladder control issues? Here are three habits you should break. 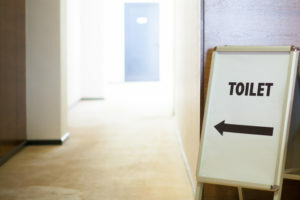 You likely don’t pay much attention to your bladder habits and urinary pattern unless it’s causing you problems, such as during pregnancy, postpartum, or prostate disease (or you’re potty training a toddler, like I currently am!). Many people don’t realize that the bladder is controlled both by reflex and conscious regulation from the brain, and it includes both voluntary (skeletal) and involuntary (smooth) muscle. Thanks to this design, our bladder “learns” much in the same way the rest of our muscles do – and it can learn some less-than-ideal habits, too. Try to avoid these three common mistakes – and please, seek help from a trained pelvic floor physical therapist if you have concerns about urinary incontinence or other bladder symptoms! We all do this sometimes, when you’re about to get in the car for a long road trip, heading into a big meeting and feeling nervous, or trying to beat the rush before a sporting event starts. But frequently emptying your bladder before it’s truly full teaches your body to “reset” its perception of fullness – and will leave you regularly rushing to empty a partially-full bladder. Try to wait until you truly have a sense of urge before you go. Everyone has likely had to go somewhere less than ideal, where you’d rather keep your bare skin as far as possible from the toilet seat. 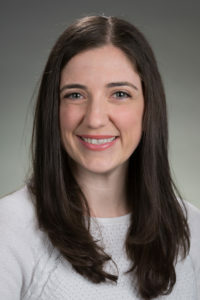 But regularly squatting or hovering over the seat instead of sitting on it makes it difficult to relax your pelvic floor muscles, which can contribute to dysfunction of the muscles, and potentially lead to pelvic pain. If it makes you feel better, a recent study found that the average cell phone has 10x more bacteria than an average toilet seat. Consuming nothing but bladder irritants. You start with coffee in the morning, switch to sparkling water mid-day, and have a glass of wine in the evening. Did you know all three of these beverages – caffeine, carbonation, and alcohol – are known bladder irritants, and can give you the urge to go more frequently? 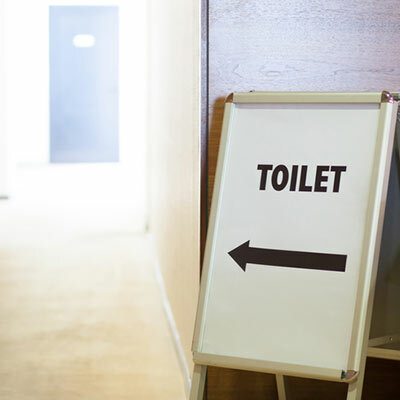 If you are struggling with urge-type urinary incontinence (not “making it to the bathroom” in time before urine leakage), bladder irritants may contribute to your symptoms. Other potential irritants include artificial sweeteners, so you may want to consider that gum and sugar-free sweets, too.